I'm looking forward to seeing you all tonight, Thursday June 14th, 8 pm at the show I've curated for Tel Aviv based painter and sculptor Aviv Grinberg at Verner Boutique. This up and coming artist has intervened within the space of Verner, presenting a new series of pieces made of different tubes and hand-applied into specially forged iron grids. These sculptures introduce the artist’s recognizable visual and material language in a unique intimate scale. They relate to Grinberg’s ongoing interest in, and exploration of subjects that are part of both the artistic community’s jargon and the social landscape surrounding his studio space in southern Tel Aviv. 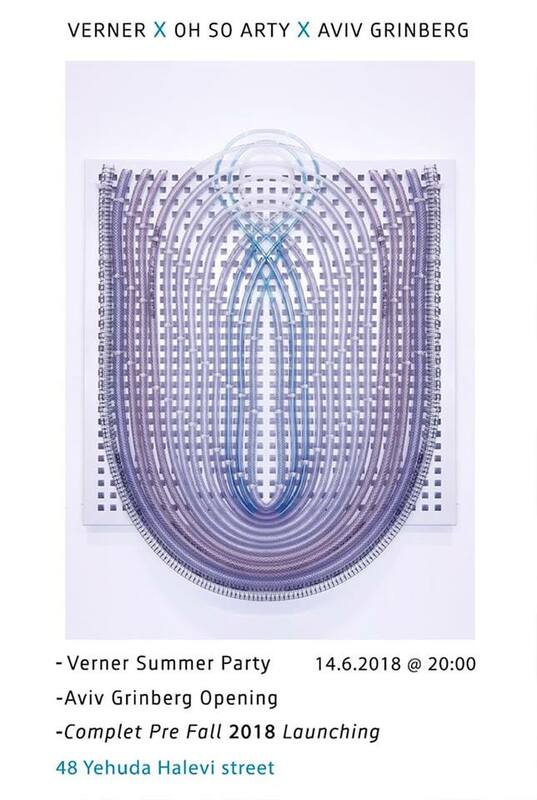 This is my second collaboration with Verner in a series of three art events - come celebrate the beginning of the Summer with us!